"As a person living with albinism, people tend to think that I'm different from them. They don't realise that there is nothing different about me; only my skin colour is lighter than theirs." These touching words was part of an essay with which Mitchell Chuan, then a Grade 12 learner at Lushikishiki Senior Secondary School in Limpopo, won the 2005 Albinism Society of South Africa essay competition on albinism. September is Albinism Awareness Month. 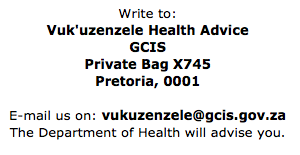 During this month the Department of Health provides information on albinism to make people more aware of what this condition is about. People living with albinism face a lot challenges like being discriminated against or called names because of their skin colour. This happens because there are still many mistaken beliefs about albinism. For example, some people still believe that albinism is some form of punishment from God. 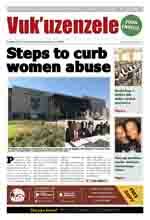 Others believe that a woman who gives birth to a baby with albinism has slept with a white man. 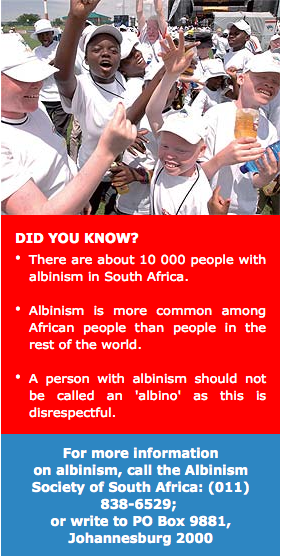 This is not true and people with albinism should to be treated exactly the same as everyone else. Albinism is an inherited condition. This means it is carried over from past generations by parents to their children. It is caused by a fault in the skin pigment or colour called 'melanin'. This leads to a loss of colour in the skin, hair and eyes. It happens when both parents carry one faulty and one normal gene. Genes are units in the body that parents pass to a baby before it is born. When a baby inherits two faulty genes, one from each parent, albinism is the result. Albinism does not affect a person's intelligence. Albinism can cause problems with eye-sight. People with albinism are very sensitive to strong light. Avoid direct sun on the skin at all times. Protect the skin and eyes by wearing dark glasses, wide hats, long-sleeved shirts and long trousers. Apply sun-screen creams to areas of the skin that are in the sun. Go to a skin specialist (a doctor who is an expert in the treatment of skin problems) regularly, especially if you have sores that do not heal quickly.